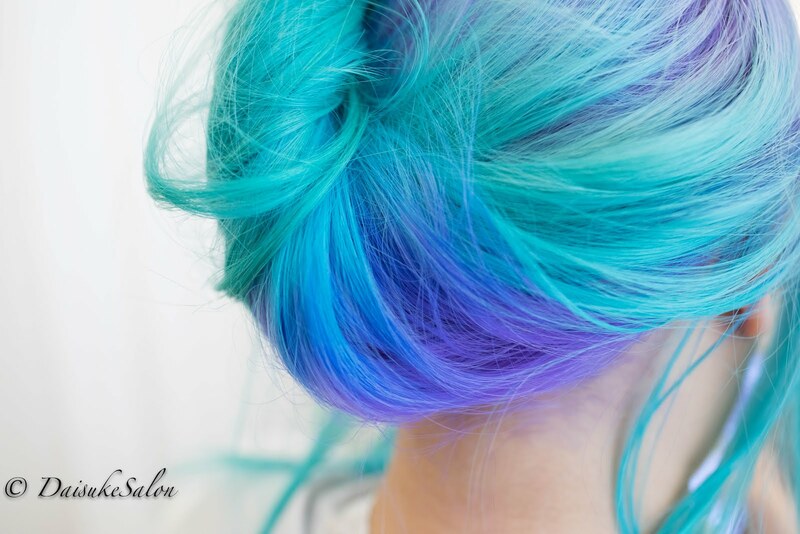 This is the next visit after full bleached hair. Previously she had full bleached hair with gradation colour. 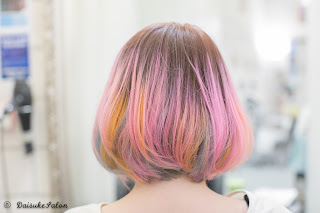 After few months, the colour fade off to blonde hair with long growth root. This time, we started off by colour the root with Ash Brown. 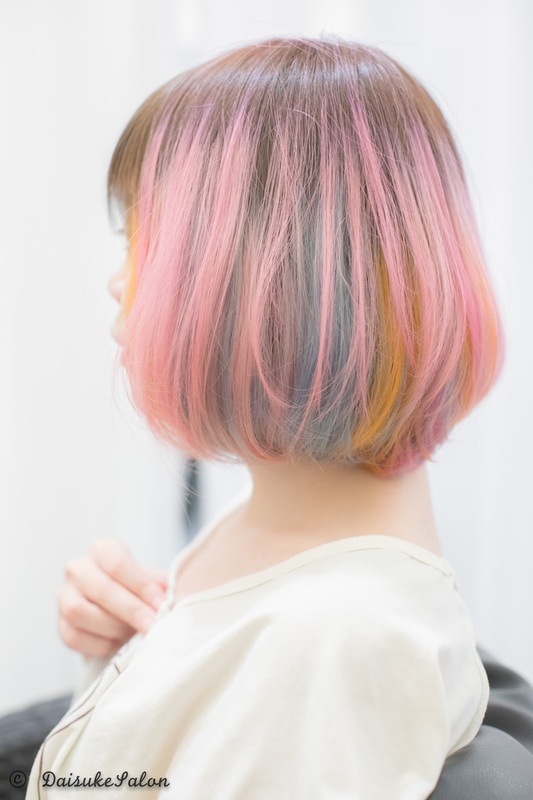 Then the undersection, used 3 colours - Pink, Orange & Ash Blue. As of the oversection, used only Pink. 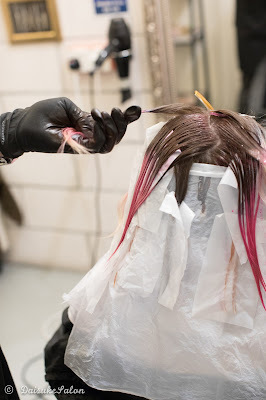 Applying Pink from root to the end. 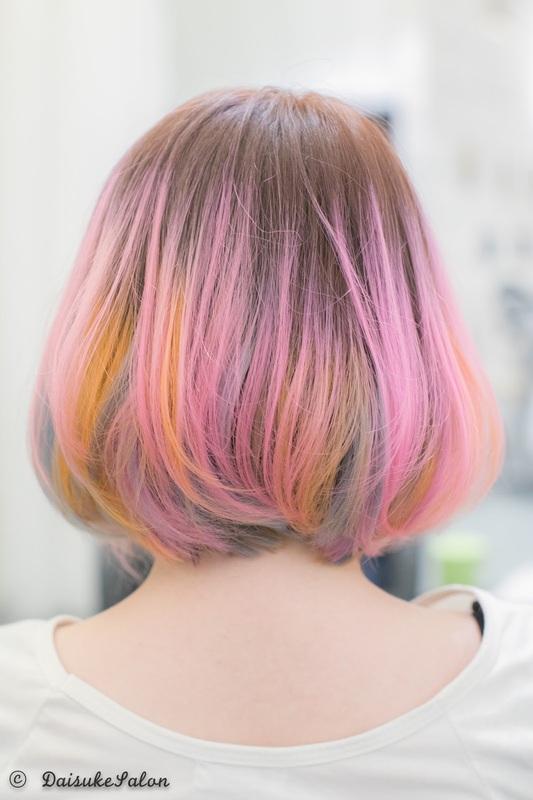 So the root area becomes Pinkish Brown. And end becomes Cotton Pink.